Migliaccio & Rathod LLP is currently investigating the 3rd generation Lenovo X1 Tablet. 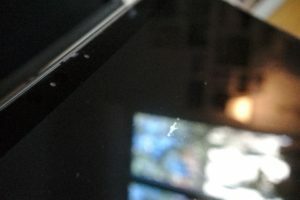 Lenovo customers report that the coating on the tablet’s screen is prone to scuffing and scratching after limited use, from a few days to a month. The X1 Tablet supports an attachable keyboard and pen input, both of which contribute to the screen’s scuffing when the tablet is closed on top of the keyboard or when the pen is used, though customers also report that the coating peels off from touch inputs—a problem that runs counter to purchasing a tablet in the first place. Out of warranty, the repair costs around $800, but contributors to Lenovo’s Customer Support forum who have received replacement devices note that the replacements also manifest the same issue. Is Your Lenovo X1 Tablet’s Screen Exhibiting Scratches or Scuffs?